Rumor has it that Andy Synn will eventually be delivering his annual list of favorite songs, but with that exception, our 2014 edition of LISTMANIA has finally drawn to a close. Or to put it differently, since we’re halfway through 2014′s first month, I decided it was time to wrap it up. Our 2014 series of lists was another extensive one — we posted more than 30 lists with accompanying commentary. Some of these were lists that appeared at other “big platform” web sites or magazines — places with large audiences, many of which cover musical genres well beyond metal. We also published our own staff lists, of course. But the largest group of list posts came from guest writers — NCS readers, band members, and fellow bloggers/writers. Plus, we also received many lists in reader comments on THIS POST. In this article I’m collecting links to all of the 2014 year-end lists that we published, divided into categories and listed within each category in the order of their appearance. 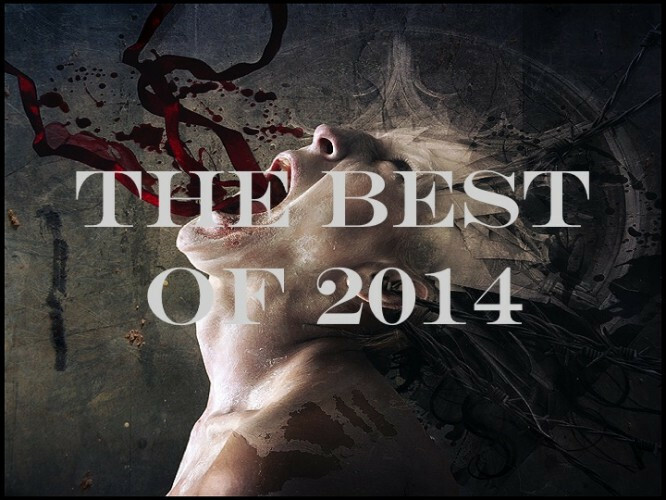 For people who are looking for the best metal that 2014 had to offer, I think these lists provide a tremendous resource. Thanks again to everyone who contributed to 2014 LISTMANIA and to everyone who made time to read what we pulled together. I think I need to create a separate category for Cvrmudgeons. I’m happy The Haunted got a mention. Unless I missed something, I am slightly disheartened that Xerath’s III and Arsafes’ Ratocracy were not.